Online holiday shopping made simple. Shopping for your children's gifts should be an enjoyable part of the holiday season. But, as parking spaces become scarce, gas prices continue to climb, store aisles grow more crowded and fellow parents jostle for the season's hottest toys, holiday shopping can feel like a competition. For this reason, more parents are forfeiting the crowds and going online to find those special gifts. Along the way, they save time and money, and may find a unique gift not available at the retail stores in town. While online holiday shopping takes a different set of skills than navigating a shopping center or mall, it's a cinch to master and can be quite rewarding. Use a shopping engine to comparison shop. Web sites like www.shopping.com and www.bizrate.com are especially useful if you have a specific category of gifts in mind. Merely select a category followed by a subcategory, and you're on your way. Once you decide on a possible gift, the shopping engine shows which online stores offer the item and at what price. Some shopping engines offer retailer and consumer reviews to help inform your decision. Be prepared to pay extra for "it" items. Searching for a Nintendo Wii or the latest Harry Potter book? If you've been looking in your local toy store these past few months, you may have come up empty handed. And yet, several of these hot items are likely available online. You may need to spend a little more money on coveted gifts than generic ones, but for many online stores, even the most in-demand gifts are never sold out! Know that specialty sites can provide that gem of a gift. Customized and interest-driven presents can best suit a child's tastes, however, parents may have to do some online searching to find the perfect gift on the Internet. Ty's Toy Box, www.tystoybox.com, carries a huge selection of character-based brand toys, from Angelina Ballerina to Winnie the Pooh. Meanwhile, drop by Future Flyers' Club, www.futureflyersclub.com, for model airplanes of all kinds. If your child has a budding interest, chances are there is an online shop that caters to it. For more than character and airplane gifts, Google your child's interest and couple the term with "presents" or "gifts." Don't forget eBay. eBay is a treasure trove of toys and collectibles, some heavily discounted, from the most popular to the extremely rare. 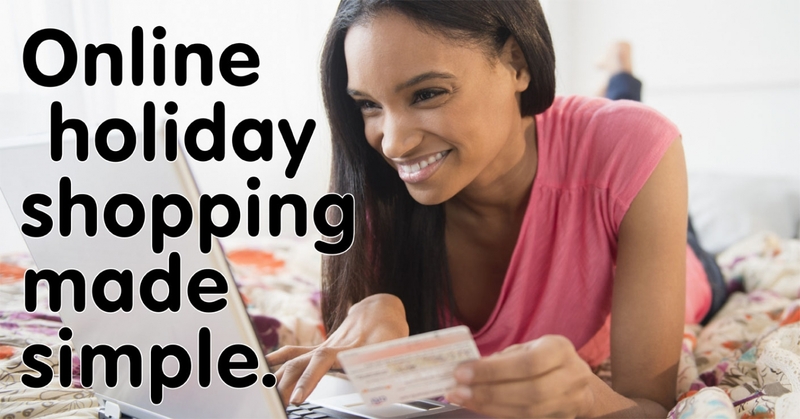 Shopping online is a great way to stretch your dollar during the holiday season. More than half of online shoppers in the 2006 holiday season found that the best deals were available online. Look for special "online only" offers. For example, www.toysrus.com, the Toys "R" Us Web site, has a "Clearance" section where you can often save a third, a half or even more off a retail price. The sale items change regularly. However, they typically span the spectrum from toys to Play Doh to Darth Vader masks. Always check the return policy before making a purchase. Though this is especially important when purchasing clothes online, most reputable online merchants maintain a satisfaction guaranteed return policy. Some merchants charge a restocking fee, and most will expect you to pay return postage unless the product is defective. Be mindful that brick and mortar stores like Toys "R" Us let you exchange gifts in person. Also, some gifts such as DVDs, CDs and computer software must be returned unopened. This policy prevents shoppers from making a copy of the electronic gift, then returning the original. Use a secure payment system. To know if a seller is offering a safe checkout process, look for logos from companies like PayPal or VeriSign. Buyers should look for PayPal Buyer Protection on eBay, a free program that offers increased security by covering up to $2,000 for non-delivery of items, or products that are delivered not as described. PayPal never shares personal financial information with merchants. Shop off-season. Next year, consider shopping for toys in August - when stores host big sales to make room for holiday merchandise. January and February are also big sale months, after the holiday shopping season has ended. Find discounts on costumes the day after Halloween. If your kids like to play dress-up, go online to the major chains and drugstores that only sell costumes once a year for Halloween. Such stores slash prices in order to move inventory for holiday items. Use your computer to stay within your budget. Nearly one-third of adults spend $100 to $500 over budget during the holidays. With online shopping, your computer can help you track your funds. With PayPal, for instance, you can set gift budgets, monitor holiday spending and transfer funds from your bank account, eliminating post-holiday credit card debt. You can also track your budget with a financial program like Quicken, or with a simple spreadsheet. All of these tips are not only worth knowing, they are worth teaching to your children. Kids will eventually make online purchases of their own - they might as well be smart about the online shopping experience.